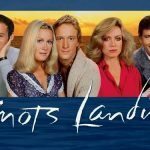 Gary and Val move to their new home in Knots Landing that Miss Ellie Bought for them, and then get acquainted with their new neighbors. Sid’s 18-year-old rebellious daughter, Annie from a previous marraige, is visiting the Fairgates and is causing havoc among the family. Val attempts to fix Annie’s relationship with her father. NOTE: This is a spinoff of the popular show “Dallas”, which focused on rarely seen brother, Gary Ewing. This is the first of two instances that we get to see members of Sid’s previous marriage; the second being Sid’s ex-wife’s arrival in Episode 8. 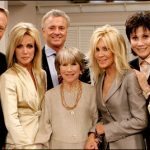 The show starts out with 4 main couples: Valene & Gary (Joan Van Ark & Ted Shackelford), Karen and Sid (Michele Lee & Don Murray), Laura & Richard (Constance McCashin & John Pleshette), and Ginger & Kenny (Kim Lankford & James Houghton). There are also 3 co-stars: Michael (Pat Petersen), Eric (Steve Shaw) & Diana (Claudia Lonow) Fairgate. J.R. Ewing is in town planning an offshore drilling project on the beach, which everyone is opposed to, except for Richard who asks Laura to get together with Chip Todson, J.R.’s PR man. He asks her to do this so he can get the account. J.R. has an afternoon rendezvous with Karen (big mistake!). Gary goes to J.R.’s office to steal an important file he can use against his brother. Along with the rest of the community, Gary protests by picketing on the beach. NOTE: “Knots Landing” had a strong link with its parent show “Dallas” in the early seasons. This is one example of this as J.R. makes the first of many appearances in this episode. Richard is opposed to Diana’s favorite teacher, David Crane, for his unorthodox teaching methods. He decides to run against him for a seat on the school board. Meanwhile Karen, who is going through mid-life uncertainty, decides to go to the school to find out more about this teacher, but ends up falling for him and even contemplates having an affair with him. Lilimae Clements, Val’s mother, turns up in Knots Landing to visit her daughter. Valene confronts her over being abandoned as a child as Lilimae pursued her music career. As ghosts from the past come back to haunt the mother and daughter, they begin to put the past to rest. 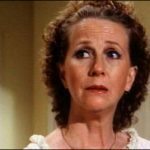 NOTE: Julie Harris makes her first appearance as Liliame Clements, Though she will return as a cast member in Season 3. This episode aired on Friday night in the time slot occupied by “Dallas,” presumably to generate viewer interest in the show. Lucy comes to visit Knots Landing to see her parents, Valene and Gary. Lucy hopes that she will be happier with her parents, but due to past issues and Lucy’s lifestyle in Dallas, things do not go quite as planned. NOTE: Lucy makes her one and only appearance on “Knots Landing”. Karen meets Sid’s ex-wife, Susan, for the first time when Susan comes to see Sid about a legal matter regarding their daughter. After Sid suspects ulterior motives, he becomes upset when Karen invites Susan to spend the weekend with them. Although Karen suspects that Susan has romantic intentions, she wants Sid to end what she believes is his unfinished romance with Susan. Karen regrets her invitation when she sees Susan’s provocative play with Sid. Eric Fairgate develops a crush on Ginger Ward. NOTE: Constance McCashin (Laura) and Guest Star Claudette Nevins (Susan) reunite they stared together in the short lived series Married: The First Year. While Kenny is on a business trip, Ginger is frightened by anonymous gifts she has been receiving: a birthday cake decorated for an eight-year-old child, a corsage and perfume. Not only does Ginger inform the Fairgate’s that her mother forced her to have an abortion when she was 16, but she also tells them that the child would have been eight years old this week. She discovers that the person sending the gifts is the mother of her old boyfriend by whom she had become pregnant. The mother is harassing Ginger out of grief for her only son who recently died of Vietnam War wounds. Val decides to take a high school equivalency test to get her diploma, but has difficulty asking for help. When Karen learns that she’s pregnant, she isn’t sure she wants the baby, while Sid can’t understand her mixed feelings regarding the pregnancy. When medical complications develop, Karen decides she wants to have the baby, but she miscarries. Eric takes a liking to Ginger’s 14-year-old sister who is visiting from Knots Landing. However, when he takes her out on a date, he finds her too sophisticated for him. Ginger tells Kenny she is ready for them to start a family. When Richard lands in grave financial trouble, Laura wants to get a job to assist with the debt, but Richard won’t hear of it. Richard throws a barbecue to try to borrow money from his neighbors to pay off the $20,000 he owes. When Sid finds he is missing a one hundred-dollar bill, Karen thinks it is merely coincidental. When Laura’s father, who’s visiting from out of town, lends them the money, Richard is relieved. After Karen worries that Diana is spending too much time with her boyfriend, the boyfriend turns out to be the thief of the hundred-dollar bill. Gary drinks some champagne during the celebration of his promotion to vice-president of Knots Landing Motors. However, this is a mistake for the reformed alcoholic who, many drinks later, becomes belligerent, leaves home and stumbles from bar to bar. When Valene informs the Fairgate’s and the Avery’s that Gary is an alcoholic, they all set out to find him. Unable to stop drinking, Gary continues his roller-coaster ride to skid row. Ginger suspects Kenny of having an affair with Sylvie, the singer he manages. Kenny denies the accusation and continues to sleep with the attractive new singer.